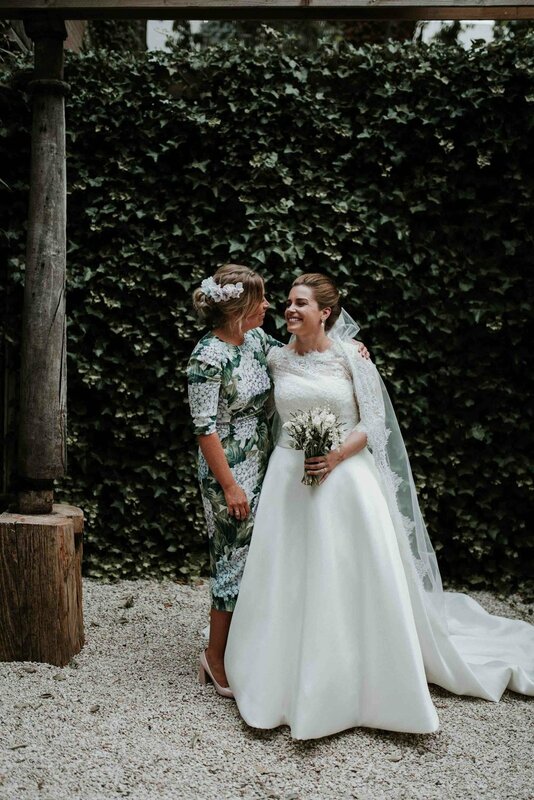 Charlotte bought a beautiful floral dress from Dolce & Gabbana featuring a blue and purple hydrangea print for her best friend's wedding. 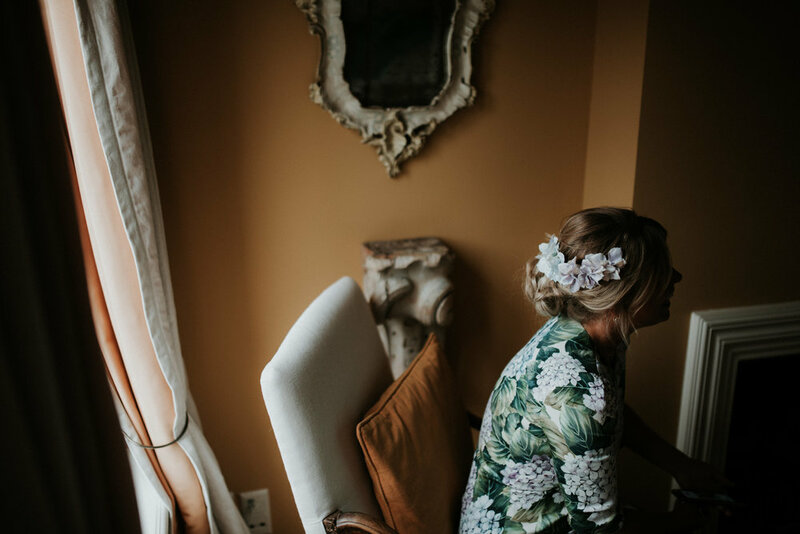 She had struggled to find floral combs that matched and contacted me to see if it was something I could help with. 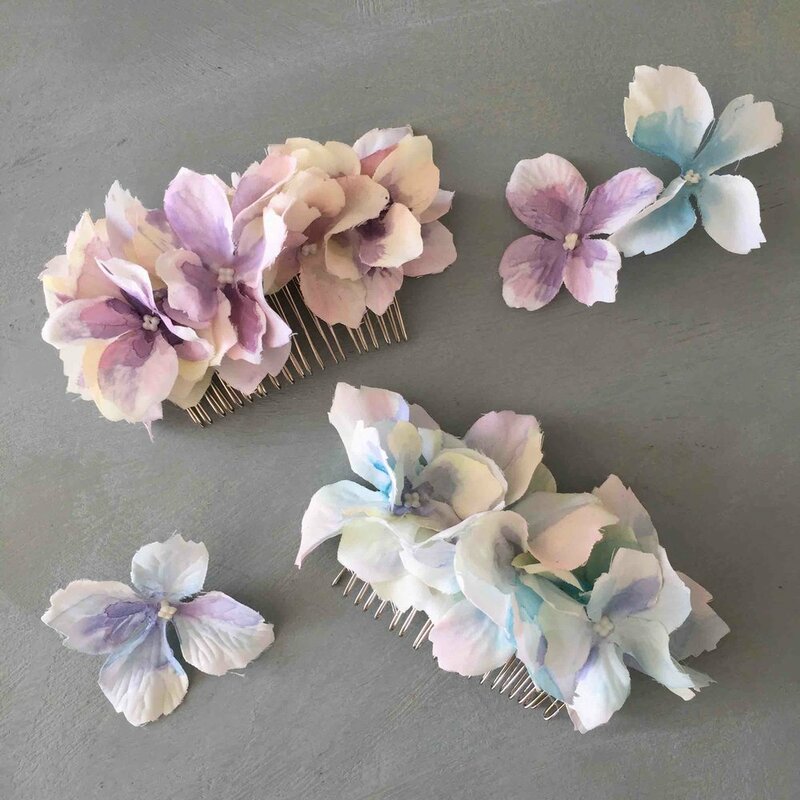 Using photographs of her dress I hand painted ivory hydrangeas to match and created a pair of combs. Charlotte was thrilled with the result.